However, to share a smartphone's screen you need to know some simple tips, then you can see your phone's screen in another person's phone and you can see the friends screen in your phone. You have to download an app to tmare yourself and your friends phone. The name of this app is ScreenShare, it can be downloaded from the Google Play Store for free. Apart from ScreenShare there are some other applications available in the Google Play store, which can help you share the screen. ScreenMeet is also very popular in it. It is also available for free download at the Google Play Store and by which the user can connect his phone screen to another phone. 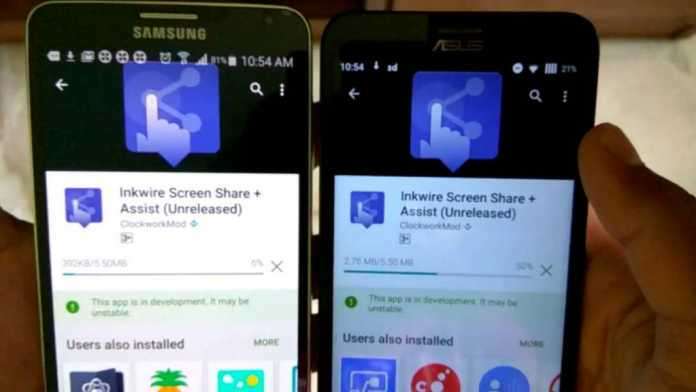 After downloading this app in both phones, two different smartphones can work as 'single screen'.